Ocean Hardwood Ltd stock a wide range of tropical and temperate hardwoods, all in sawn plank form we stock various widths and thickness in species such as Oak, Ash, Sapele, Beech, Cherry, Walnut, Maple, Movingui, Framire, Tulipwood and Iroko. We are also happy to source the more "exotic" timbers such as Teak and Wenge. Softwoods such as Siberian Larch, Western Red Cedar and Douglas Fir are available to order. We stock a wide range of sizes in Redwood sawn timber. For any quotes or info please contact us on 02893 365746 or via email. Ocean Hardwood Ltd can offer an excellent machining service to the highest quality for all hardwoods and redwood. Due to a large range of cutters available we can guarantee to machine any profile to suit your requirements from architraves and skirtings to claddings and deckings. Our efficient service means you can have your machined product within 3-4 days from order. 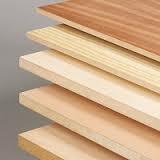 Our stock of standard and veneered mdf will cater for most customer needs. Thickness range from 3mm to 30mm, 18mm MR and veneers include Oak, Ash, Walnut, Beech and Sapele. All our standard and moisture resistant mdf is Medite. Please refer to our product page.